Ages 18 & Up: When you cough, exercise, or laugh, is your bladder in distress? Do you feel you always need to use the bathroom? These are signs of pelvic floor weakness. Your pelvic floor needs strength just like your other muscles to function. Led by a physical therapist with pelvic floor rehabilitation experience, this class addresses the common pelvic floor problems many people experience. Exercises to improve the strength and function of the pelvic floor will be taught. These exercises will include alternatives to Kegels. An exercise band and exercise handouts are included in the class fee. For questions email info@restoremotion.com or call 301-881-9313. 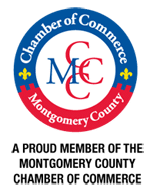 To register, click here through the Montgomery County Department of Recreation.